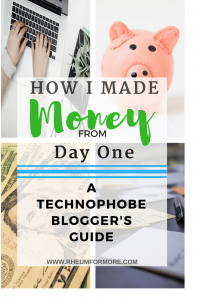 I am one of the least tech savvy people you will ever meet, and yet I, a technophobe blogger, somehow created this blog and made money within the first hour of hesitantly pressing that publish button. Say what?? That’s actually how I reacted as well. I would be lying if I said it was easy. It was and is challenging. There have been tears and more pouting and sulking than I care to admit. when I first started I was so excited, because I am on a mission, friend. I want to help people live well with autoimmunity. I have been doing this on a small scale through my facebook page, but I wanted to help more people, so Blogging seemed like the way to go. You know the old adage, It takes a village? That’s pretty much what it took for this technophobe blogger to end up here. Because of this, it is only fair that I acknowledge that village (more like a thriving metropolis) in this post, which I hope will serve as a guide for my fellow technophobes or beginner bloggers. This post contains affiliate links. Click here to read my disclosure page I cannot wait to tell you about affiliate links! When I first decided I really wanted to start a blog and do it right, I signed up for EBA (Elite Blog Academy) because if you’re a technophobe blogger and you are going for it you might as well be elite, right? well, I realized within about a thirty-minute time frame that I was in way over my head. Being elite was going to take a ton of work and push me way out of my technological comfort zone. I mean Waaaayyy out. I completed the first few assignments on EBA, which was really beneficial to honing my focus, but since I didn’t have a live blog yet, just a domain name and a hosting service, I set it aside for a bit to get into the nitty gritty of actually creating my blog. As a clueless, technophobe blogger, I joined the EBA Facebook Group to stalk the already elite in hopes of learning a few tricks I might be able to use. And you what, it worked! EBA is currently closed, but if you would like to read more about it and get on the waiting list, you can do that here. Since publishing, I have gone back to EBA and can proudly say I only feel sort of out of my comfort zone now. That’s progress! The first thing I did was switch my hosting company. I didn’t do enough research prior to signing up and went with a company that many big bloggers are happy with, but I kept hearing about Siteground from the elite. Switching was really easy, and I cannot say enough about their customer service. As a technophobe blogger I am easily confused and overwhelmed, so being with a company who employs super savvy, yet kind and patient tech support ninjas is what I need. Next, I began my search for themes that were pretty, but also functional. But functional meant I had to know a little bit about WordPress because in case you didn’t know, you really do need a wordpress.org site to grow a blog. I purchased a gorgeous theme and paid too much money to have it installed, “to look like the demo”. Well, I wish I had known then that you still have to understand WordPress, regardless of the theme of your blog. I had no idea what I was doing (this is where the tears and sulking started), so I set out in search of help. Shannon is a WordPress Guru! She offers a FREE course to get you from zero to published in 5 Days. She uses a specific theme, which I also purchased, but no longer use, but regardless of the theme you choose, this course is so helpful in learning how to navigate WordPress. 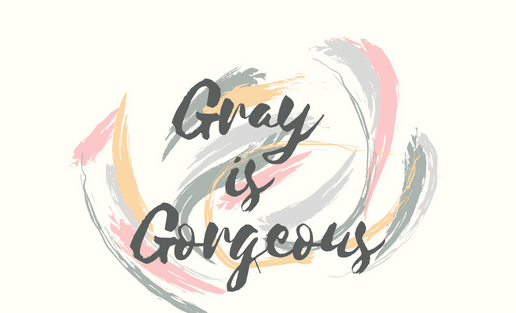 Even though I did not stay with the theme she recommended, I learned a great deal (I actually plan on taking her Canva class), and she v led me to Elegant Themes, which is where the story continues. The next step, that really started the ball rolling, and helped me feel like less of a technophobe blogger was finding a theme that would work for me. I kept hearing about the Divi theme from Elegant Themes and the Divi Builder as a user-friendly tool for the beginner blogger, so I got Divi. Yay! But then I monkeyed around with it for weeks with lackluster results. Boo! More tears, more pouting, then I found Sarah from Pretty Web Design. You guys, this was EVERYTHING! Sarah creates child themes for Divi, which means she creates blog template for Divi that you upload to your page and start customizing. At This point, I had gained some confidence with Divi but still struggled with design aspects (yes, even with a gorgeous child theme). Thankfully Sarah is an angel and helped me get the site the way I wanted it because for some reason I could not focus on the actual writing until it was pretty. Ridiculous, I know- but that’s how I am. Some of my posts have 45 edits, btw. EEK! Without Sarah, my website would not be what it is. I just got my peek user testing back, and the reviewer kept commenting on how peaceful, zen, and beautiful my site is, and how clean and easy it is to navigate. I could not have done that on my own. With the design complete, I was finally ready to write content! But you know what happened? From all of that time I spent on Facebook stalking the elites, I realized that I might actually want to try to make some money from this pursuit one day. When you love what you do it doesn’t feel like a job, right? I have my passion, I have my purpose, I am ready and already have put many, many hours in, so why not try to make money? If this could be my full-time job one day, I would be one happy gal. I decided to learn about monetization and affiliate marketing. It was a lot for this technophobe blogger, but actually quite interesting and fun. I already knew all about Michelle Gardner, who makes over $50,000 per month from affiliate marketing alone (not a typo- month), so it only made sense to enroll in her Making Sense of Affiliate Marketing class. This is how I made a sale within the first hour of going live. If I had not known how to monetize and find affiliates I would never have known it was possible to make money so easily and quickly. It’s funny. My first sale was through an Amazon Affiliate Link. Someone clicked on one of my links for an Instant Pot but wound up buying a vacuum. You get credit for whatever they purchase once they have gone through your link, so the potential to do well with them exists. It’s exciting! After that first sale, I was hooked. Following Amazon affiliates and Google Adsense, I signed up for Shareasale. It is a great place to start because there are thousands of affiliate programs to join. I searched for companies I use and can genuinely recommend, like Just Natural products, Grammarly, Swap.com, Rawspice Bar, and Real Purity and became affiliates for them as well. it is also very user-friendly. The next affiliate I joined and was so excited to partner with is Real Plans. I use their meal planning service and love it, so it’s a great fit. Finally, my latest affiliate program is Ultimate Bundles. This is another program that makes perfect sense for me because two of their evergreen bundles (available year-round) are geared toward my niche. It’s a no-brainer for any blogger though because new bundles are released seasonally and there is literally something for everyone. You owe it to yourself to click over and check it out here. It’s actually really helpful to get to know all about monetization before you get going because you can place affiliate links in your posts and make money from day one like I did. Did you know you can also place affiliate links directly on Pinterest? I am a Pinterest addict, so I purchased this Ebook, How to Make Your First Affiliate Sale on Pinterest within 24 hours. I am telling you, affiliate marketing is really fun. Finally, it was time to get writing! Each post needs to be well written. This is a given. No one wants to read boring content, but it also must be grammatically correct. I use Grammarly to proofread all of my posts for me. Even though I am an English teacher I still need another set of eyes. Grammarly is perfect. I have it installed on my computer, so it checks everything from email, to lesson plans, to my super-important blog posts. Poor grammar makes a terrible first impression. You will need gorgeous photos for these perfectly written posts and a way to create eye-catching graphics for social media. I try to use my own photos when possible, but I am not a photographer, and sometimes stock photos are necessary to achieve the look you are going for (remember the zen feel my reviewer reported? It’s my homepage photos. I love Unsplash free photos, and also purchased the PixelRockstar plugin, which I haven’t used as often as I thought I would. This is a graphic I made for this post using Canva and stock photos. When anyone chooses to share this post on Pinterest, for example, this is the image they will pin. Pic Monkey is really popular as well, but I found it confusing. Go figure. Ha! Each post must also be easy to share on social media. No matter what your feelings are about social media, it is necessary to grow your blog. I chose the Social Warfare plugin based on many recommendations from the elites. I chose the Social Warfare plugin based on many recommendations from the elites. There is a free version, but I went with the pro version for the customization options. These are the green social media buttons that scroll along the bottom of each of my posts. And most importantly, every blogger must build an email list. There are free programs available, but I kept hearing about the wonders of Convertkit, so I decided to think big and stay in my growth mindset, so I signed up. It’s these monthly expenses that make it that makes affiliate marketing much more compelling. Ha! It’s all of these little expenses that make affiliate marketing much more compelling. Ha! Lastly, you must get organized. Blogging involves so many tasks, that it’s easy to lose track. Sarah Titus is a successful blogger who has designed all of the tools you need to create a handy Blogging Binder. It’s part of the Blogging Bundle she offers. As a teacher, I am a sucker for binders, so I snatched this up right away. Unfortunately, I am a sucker for all blog tools and courses and have a way of collecting them (I’m a course hoarder). I hope this has been helpful for you. It’s a lot of work, but addictive once you get going. Please reach out if you have any questions. I’d love to help you. That’s no small feat, and your new site looks fantastic. Great work walking through this post as well. Thank you so much, Pete! I appreciate your kind words and support.